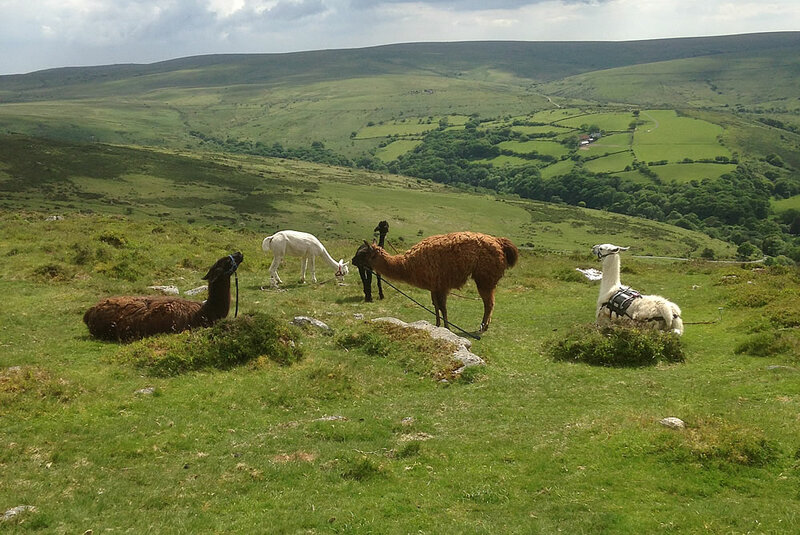 Dartmoor Alpaca & Llama walks offer a range of walks suitable for all abilities and varying in length. We operate all year round as long as the weather allows. 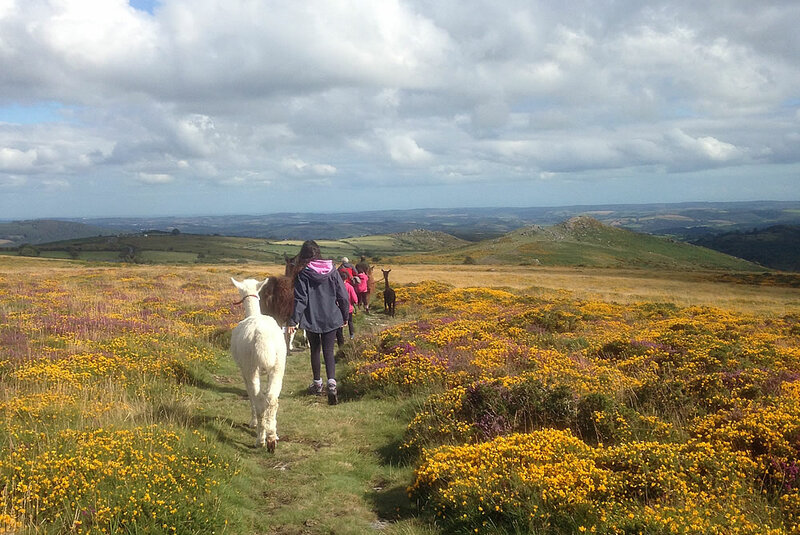 We can tailor our walks to meet your requirements. All walks must be booked in advance. 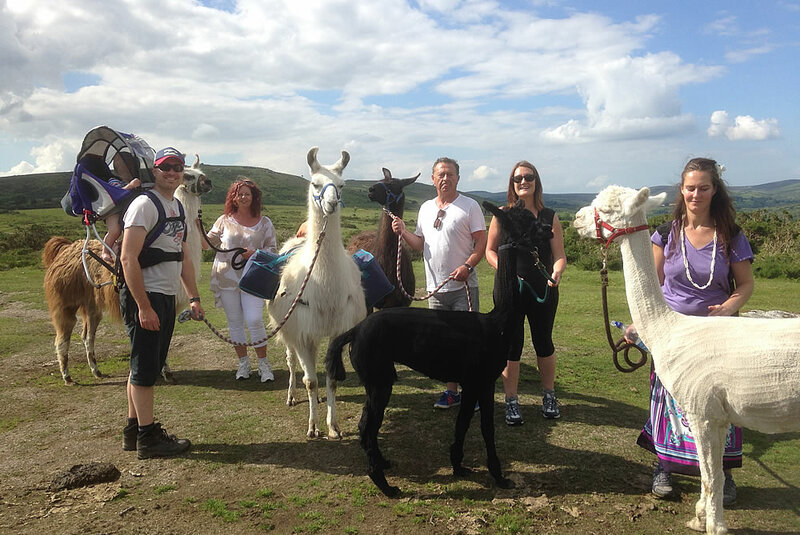 Prices are per person and a minimum of two people must be booked per walk. 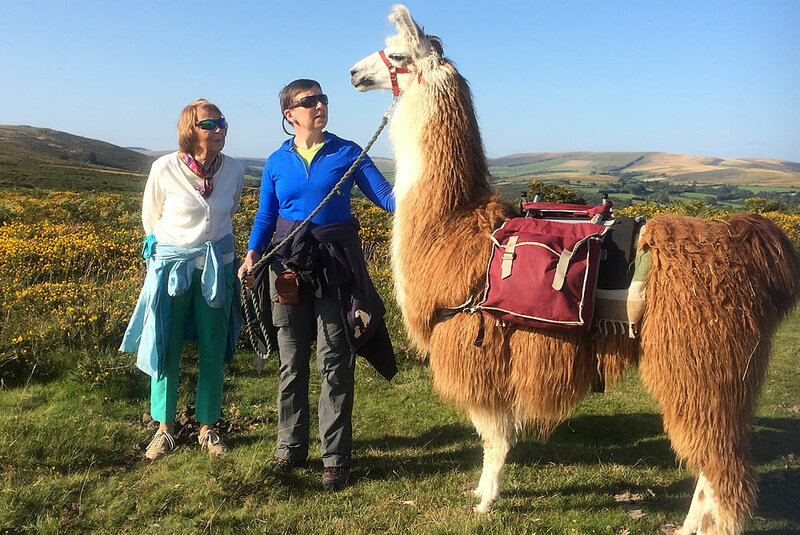 Our Llama walks are priced for a llama between two people, we have found over the past ten years that this works the best as llamas being llamas often decide for themselves which other llama they would like to walk with, having one between you means you can walk together, take pictures, swap the llama between yourselves and really get to know them. 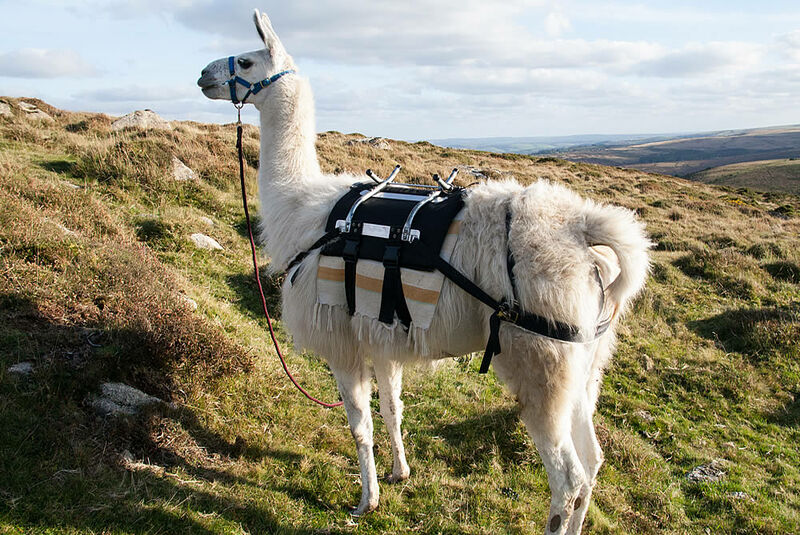 it also means that we can keep our walks reasonably priced. 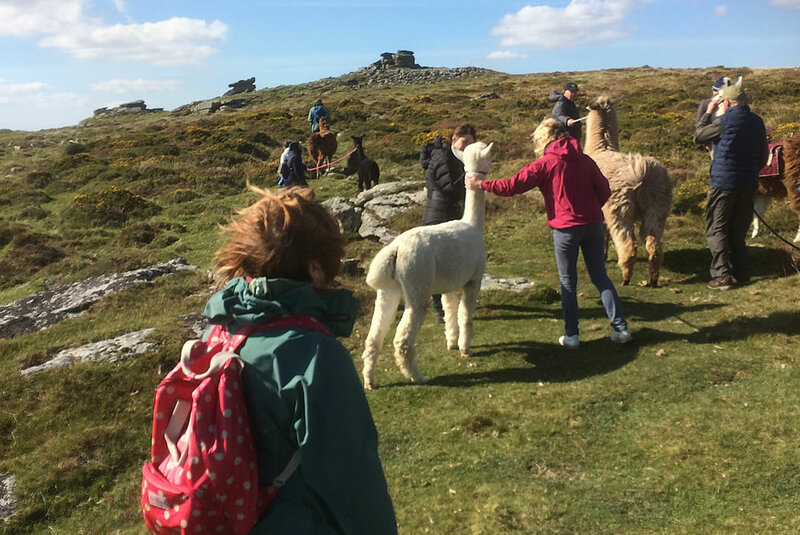 We start by meeting our Llamas followed by a short introduction about the animals and instruction on how to handle them on the walk. 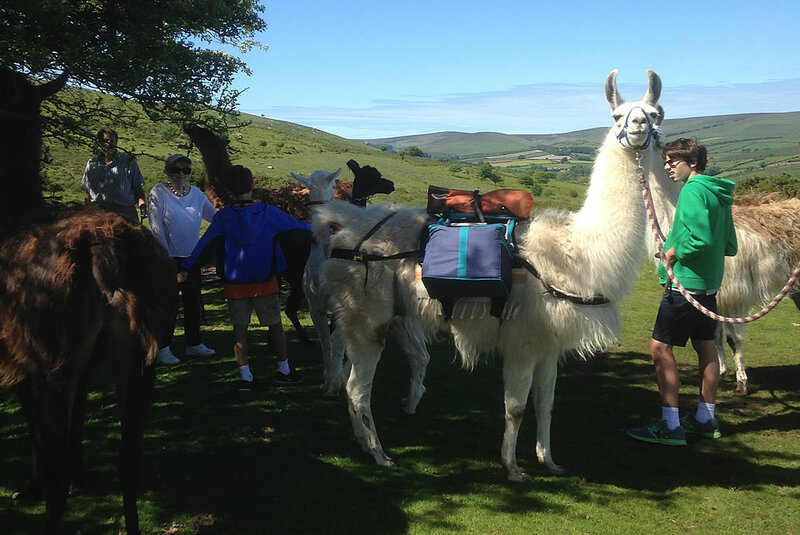 We then start our walk over moorland and country lanes stopping for a lunch break and rest for the llamas. 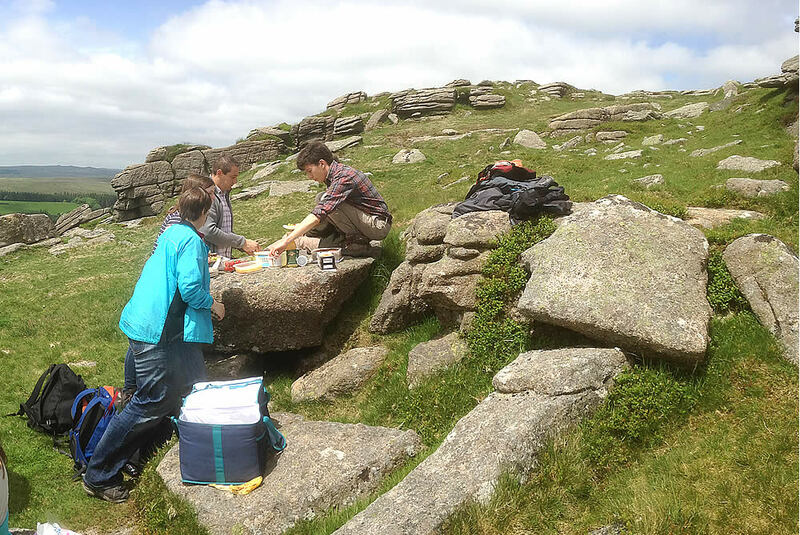 We include a homemade picnic using local produce, hot or cold drinks. Continuing our walk we return to either the start point or a pre arranged ﬁnish point. This walk lasts approx 4.5 hours. 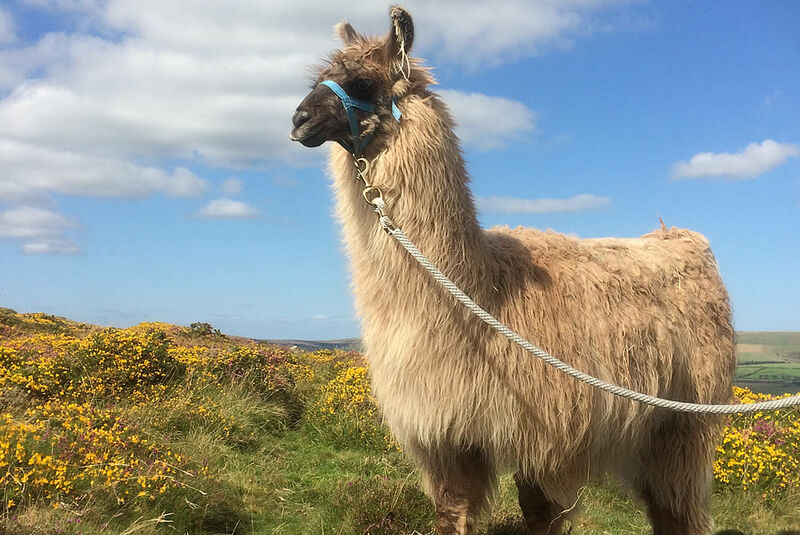 Available all year round Minimum age for children 8 years (Please call to discuss if you have younger Children) Please note our walks are price with one Llama between 2. For the Ultimate Half Day Experience why not try our Deluxe upgrade. 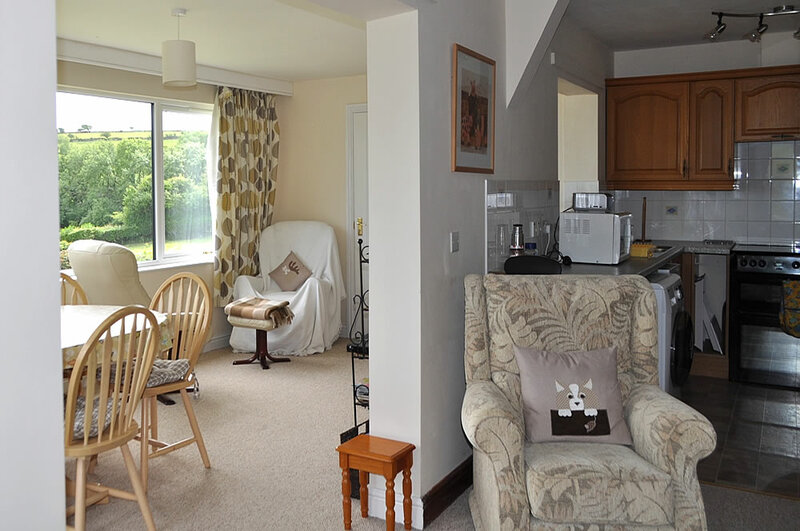 Deluxe walks need to be booked with as much notice as possible as they can not be combined with any other walk. The dates above are available for walks, the type can change until someone has booked in so please contact us to discuss or if you have another date in mind. Starting with a short introduction we then set off for a relaxing 2 hour walk, stopping at a vantage point to enjoy some light refreshments. 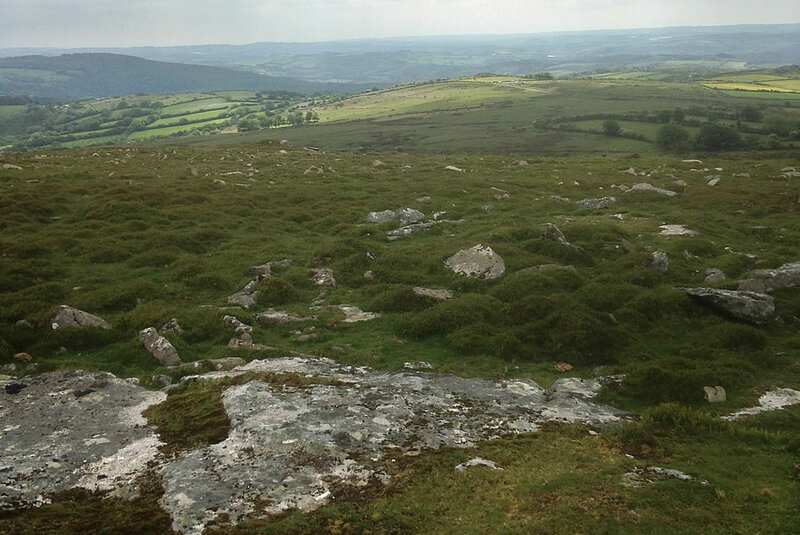 This short walk could be taken in a morning/afternoon and includes Coffee/tea and homemade cake. 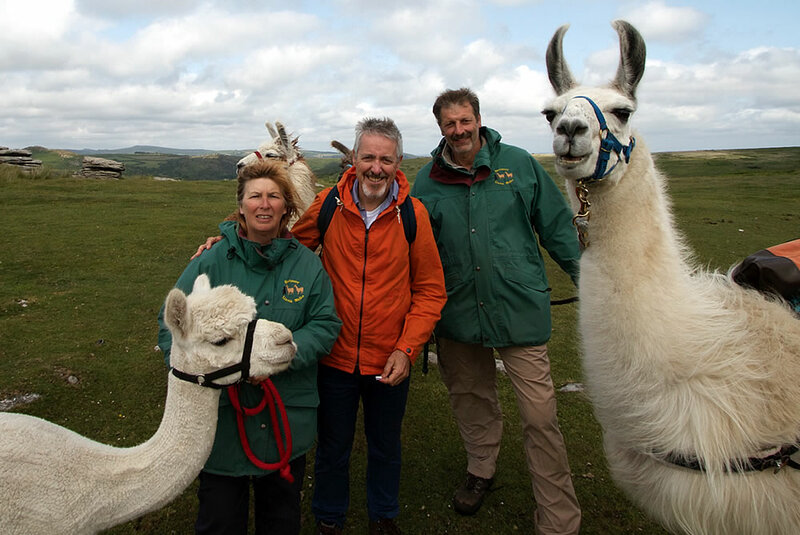 Please note our walks are price with one Llama between 2. A shorter walk lasting approx 3 hrs following the same format as the Half Day walk. Stopping to enjoy a traditional Cream Tea of homemade scones, Jam and Devonshire Clotted Cream with a choice of Tea, Coffee or soft drinks. Minimum age for children 8 years old (please call to discuss if you have younger children. 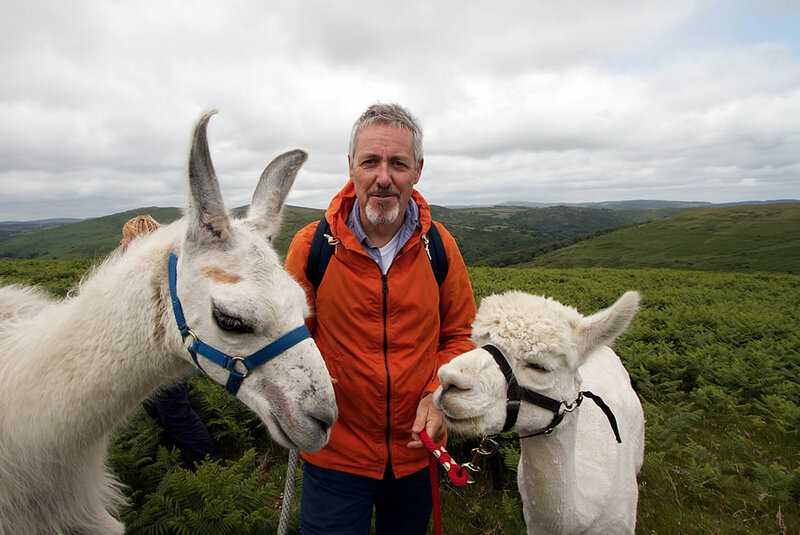 Please note our walks are price with one Llama between 2. 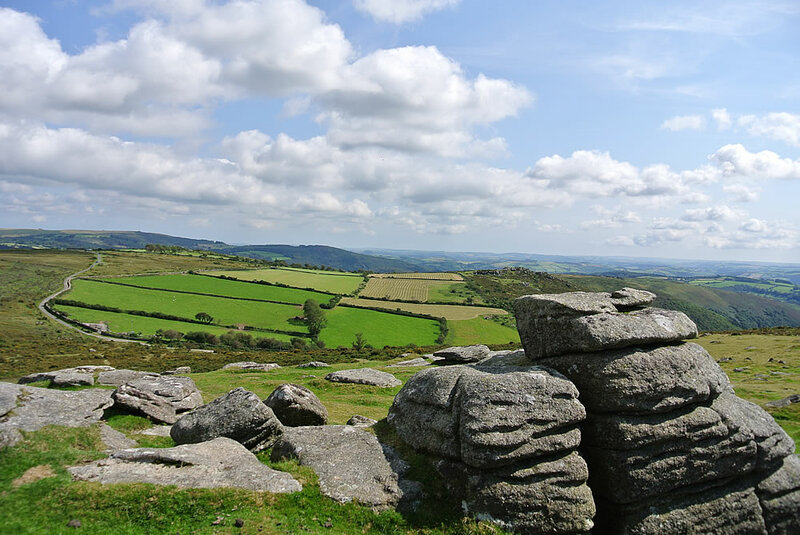 Start time earlier in winter months and could start late morning with a light lunch instead of cream tea. 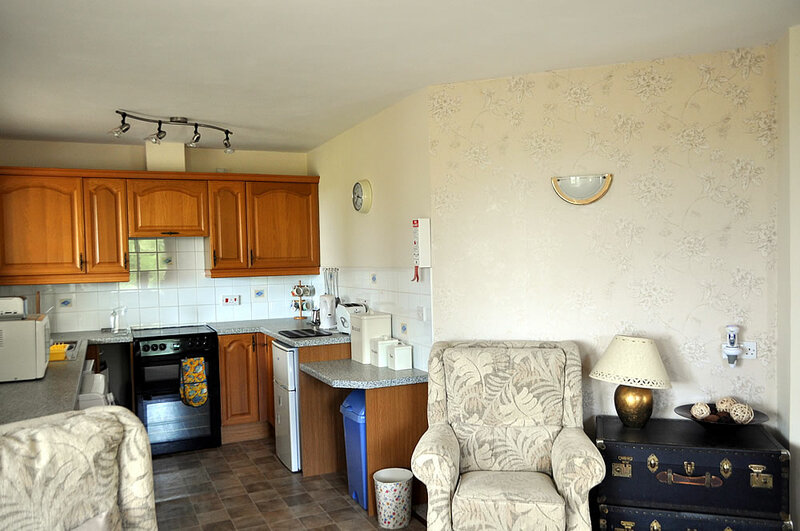 For the Ultimate Cream Tea Experience why not try our Deluxe upgrade. New for Autumn 2018 our Meet & Greet Sessions. 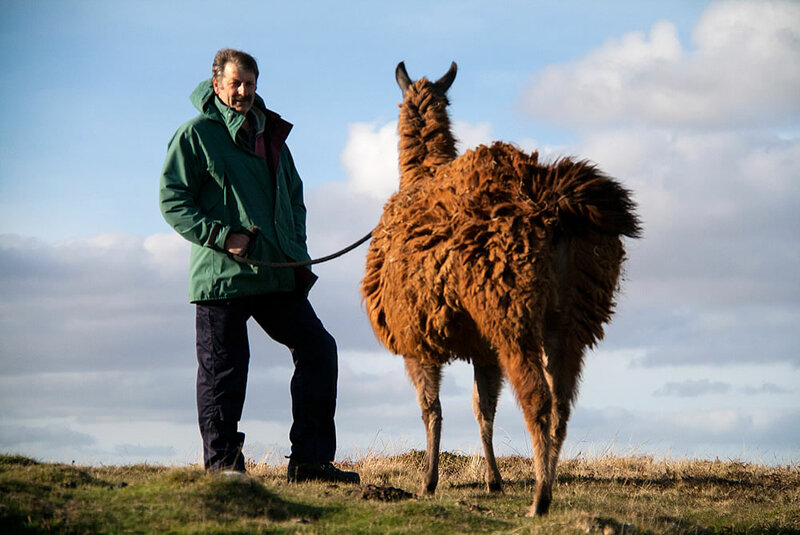 starting with meeting the trekking team, a little grooming and some information about the animals, where they originate from, how and why we keep them. 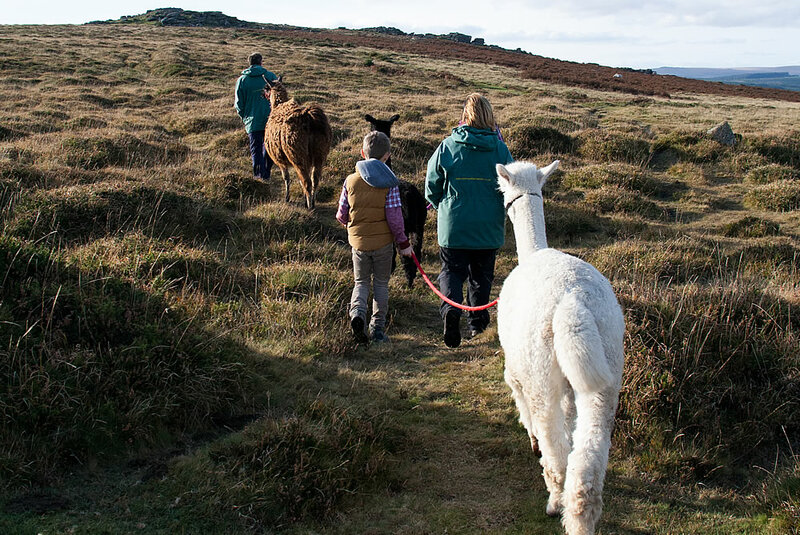 Then a short walk along our lane to see our small herd of Alpaca with their Babies (Cria) where we will stop for refreshments before walking back with the trekking Alpacas and Llamas and returning them to their field. 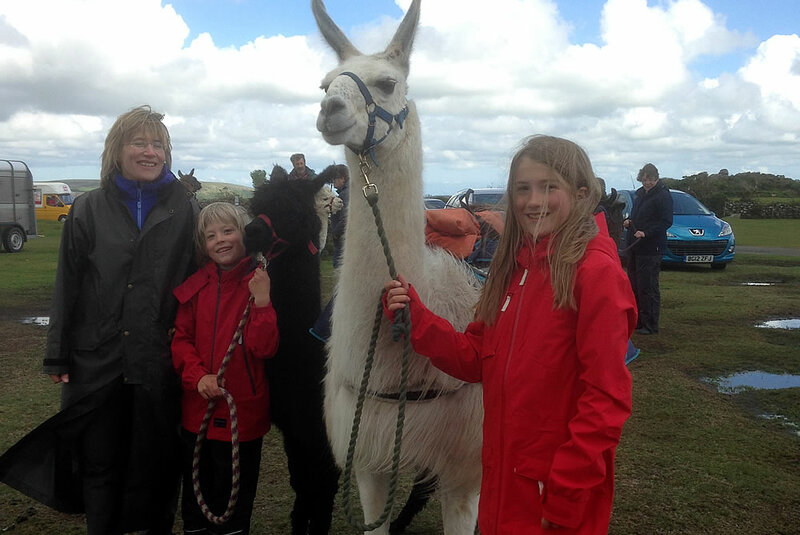 We often take our Llamas and Alpacas to Village fairs, Farmers Markets and festivals we have even taken them to Hospitals. 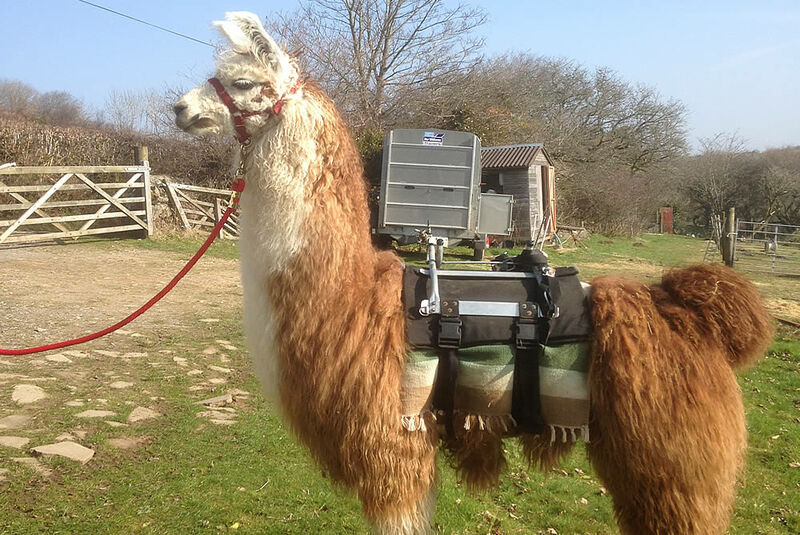 We have attended several Weddings this year and been involved in corporate events and ﬁlm productions If you would like to have an unusual addition to your fundraising event please contact us to discuss rates. 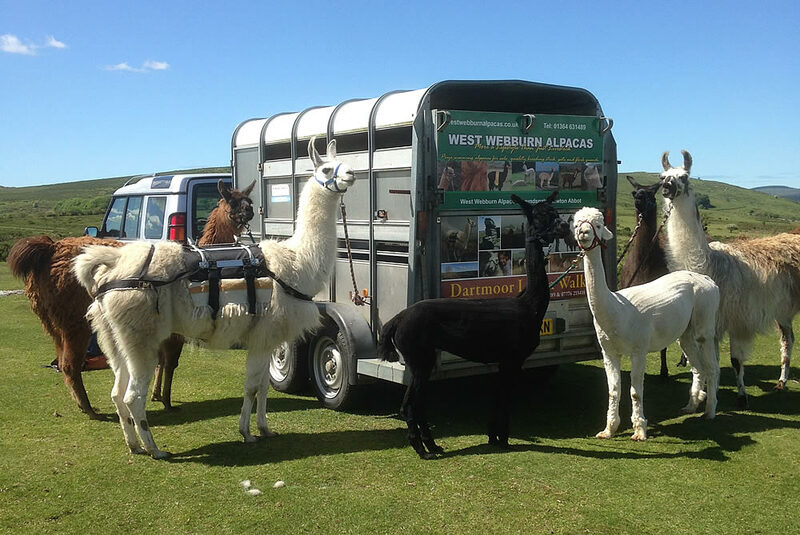 You can purchase Gift Vouchers for any of our Llama Walks which we can personalise to your requirements. 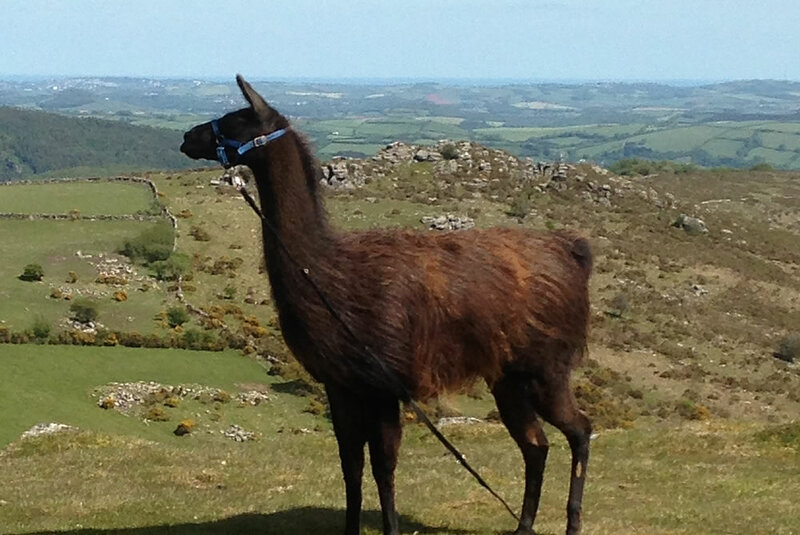 Please complete the form below to book your Llama Walk on Dartmoor with us. 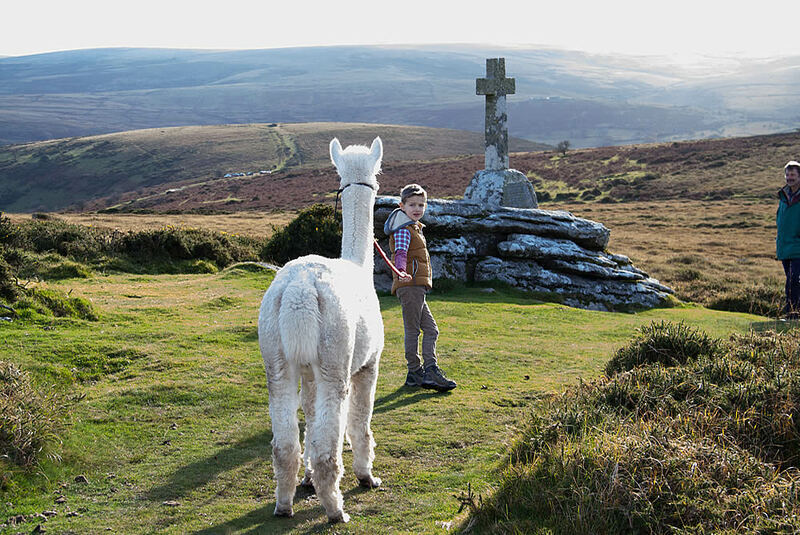 Which Walk Do You Require?